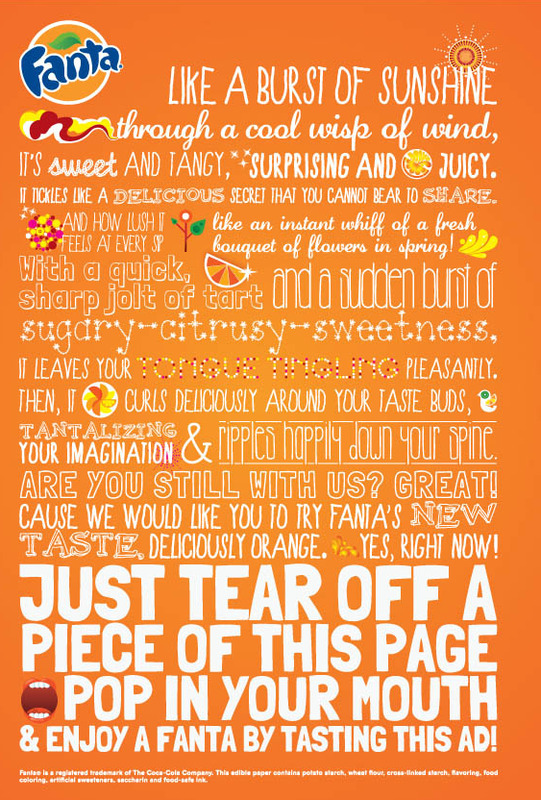 If you’ve ever wondered how orange-flavored paper would taste, there’s no need to wonder any longer. Fanta has come to the rescue. 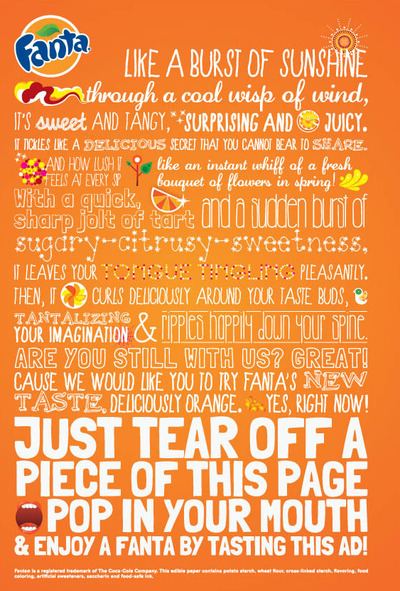 Then the ad invites you to tear out the page and eat it, so you can taste the flavour for yourself. What?! This takes augmented reality campaigns to a whole new level. Hat tip to Buzzfeed’s Copyranter.